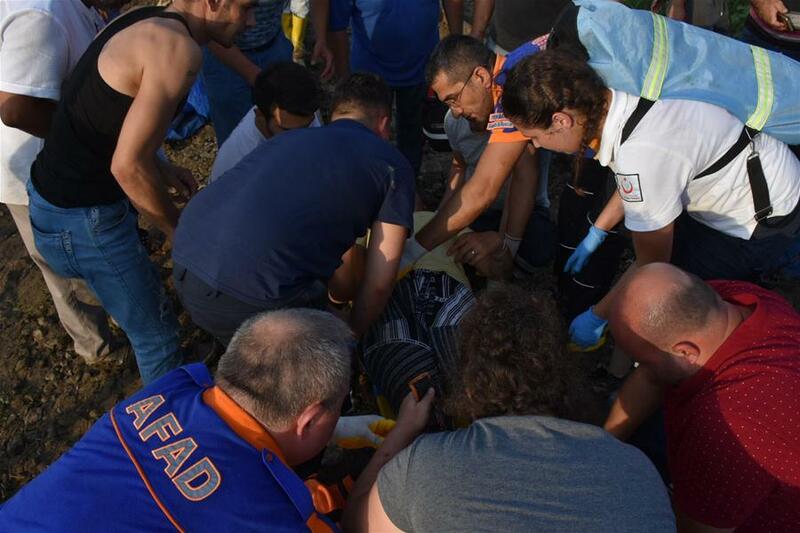 At least 10 people were killed and 73 others were injured when a commuter train derailed on Sunday in Turkey's northwestern Tekirdag province, local media reported. Five of the train's six carriages derailed near the province of Tekirdag in the late afternoon, CNNTurk said, noting that the train was carrying a total of 360 passengers. Tekirdag Governor Mehmet Ceylan said the derailment happened due to the heavy rainfall which caused a landslide. According to the Demiroren news agency, the train headed to Istanbul from Edirne province near the border of Turkey and Bulgaria. Rescue teams and many ambulances including several air ambulances were dispatched to the accident site, press reports said. Television images showed the injured passengers were evacuated from the train and rushed to nearby hospitals by passing cars, tractors and ambulances.